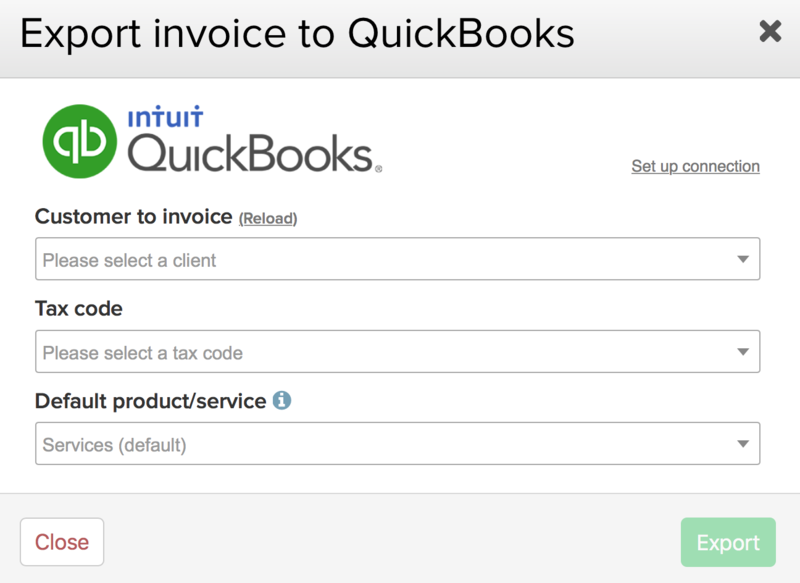 Within Teamwork Projects you can export an invoice directly to Quickbooks Online. 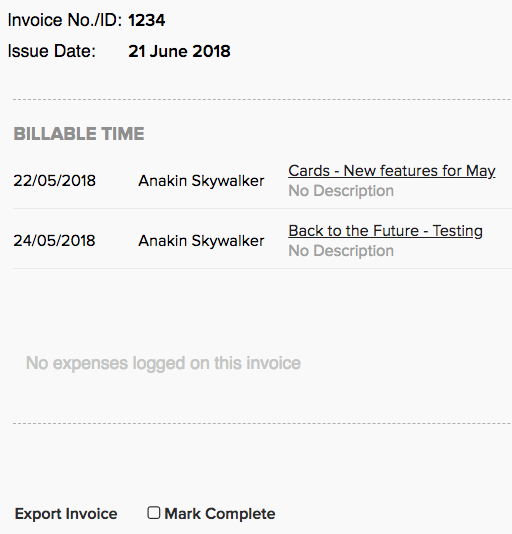 In the billing area of your project, choose an invoice and click the Export Invoice link at the bottom left of the invoice. 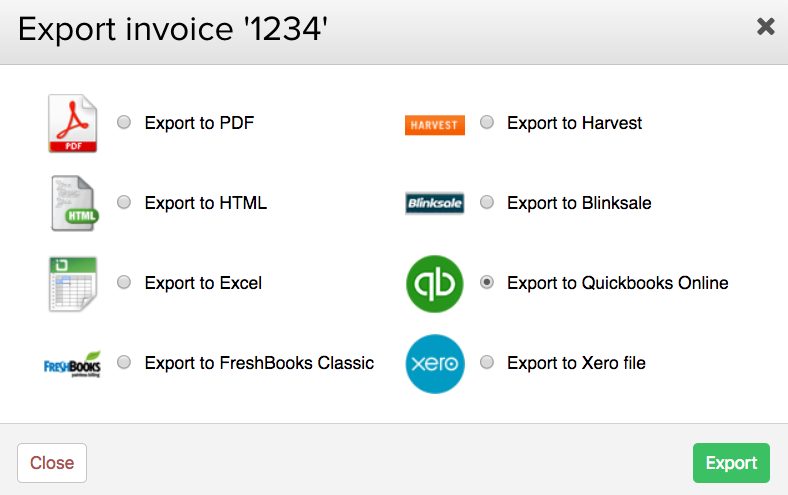 In the export modal, choose Quickbooks Online from the options and click the Export button. You will then be prompted to connect to Quickbooks. 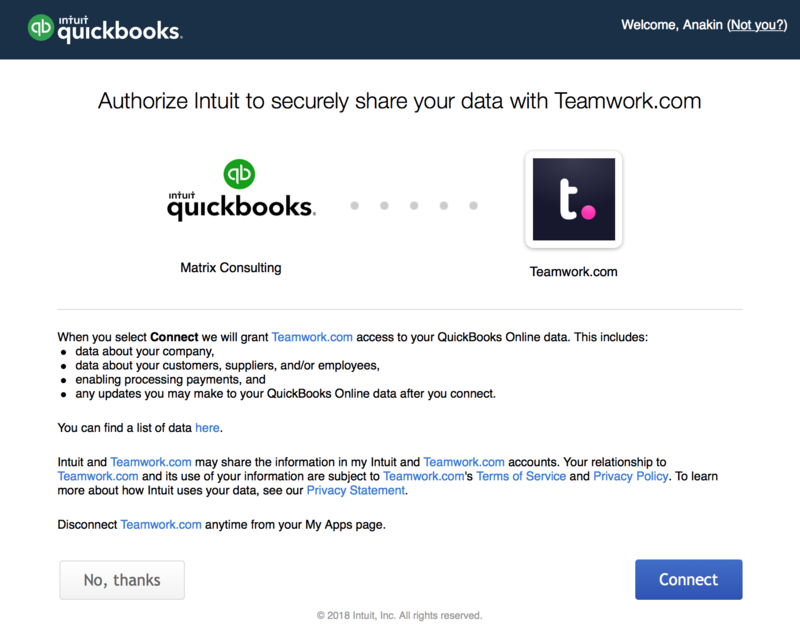 Click the Connect to Quickbooks button. 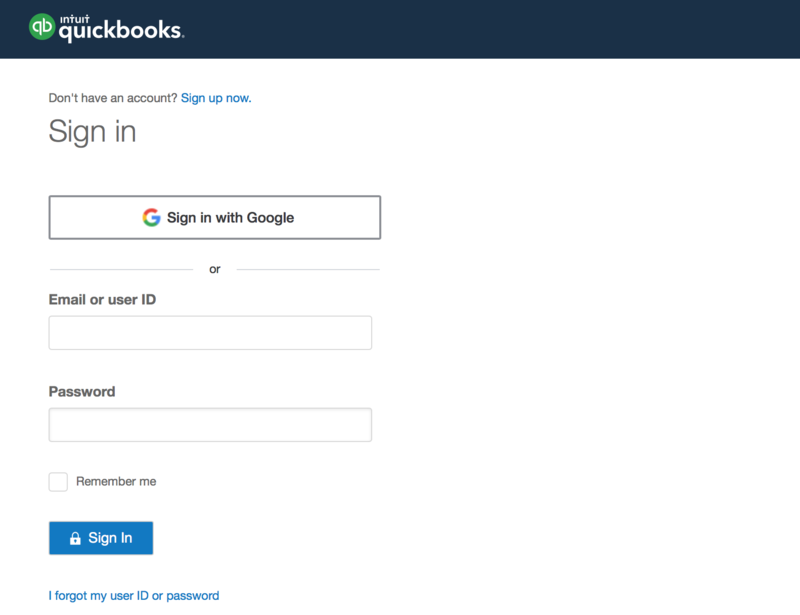 If you are already logged into your Quickbooks Online account in your browser, it will ask you if you want to authorize that account. If you are not already signed in, you will need to add your login details. You will be asked to confirm that you wish to link the accounts. Click Connect. If you have not yet added customers to your Quickbooks account, when you try to connect for export, you will see a notice that there are no clients in the account. If you sign into an accountant Quickbooks account profile, you will first need to select a company/firm to use with the export. Once you select the company/firm from the dropdown, you will need to click the 'Add app to firm' link below it before you can click confirm and proceed with the setup.